Required by the State. After finishing you should now be ready for the final exam. Take our final exam to pass the pre-license. You're now ready for the State Exam. Take & pass the State Exam and start selling! Join a Real Estate Agency, Realtor or start your own business. 400 North School of Real Estate offers the most popular study course available, the OnCourse Georgia real estate sales pre-license program. This online course offers the flexibility of doing the course at your convenience, while providing you the most thorough and educational program around. 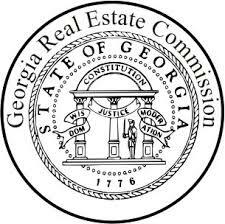 Any salesperson working for a broker may perform any real estate brokering act that calls for a real estate license in Georgia. To work in real estate brokerage, a salesperson must work with a company (A corporation, partnership or LLC, or a sole proprietorship) that is officially licensed as a broker within Georgia. No previous Real Estate experience is needed to start. What is the price for the Real Estate Sales Pre-license Course? We want to make everything as easy as possible to get started, that’s why we offer the 75 hour course online for only $275 for the Georgia Pre-License course. Get started within 5 minutes. We offer the lowest prices for Salesperson Pre-License courses. Begin your new career today! Start your course online now! Clicking Register for Courses will take you to the OnCourse registration site to complete your sign up. Select your specific course to then checkout. You will then receive your login info to begin your courses! Need us ASAP, fill out this form to get our attention.